1 Although Medieval in design the size and uniform construction suggest an 18th century date at the earliest. It is known to have been in need of repair in the 17th century. 2 One semicircular and four pointed arches, and four small cutwaters on the upstream side. Linear banks are apparent on aerial photographs as slight earthworks in fields beside the Fosse Way to the north of Bretford. A ring ditch of Neolithic or Bronze Age date is visible as a cropmark on aerial photographs. An enclosure of unknown date is also visible. The features are situated 500m south west of Bretford. Hawkesbury Junction cast iron Roving Bridge, a canal bridge built during the Imperial period, and situated 200m east of Coney Lane Bridge. Coney Lane Bridge, a stone bridge that was built during the Imperial period. 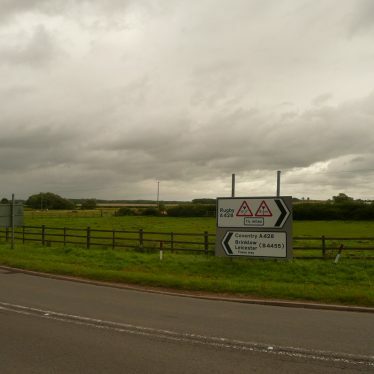 It is situated 100m north of Grange Farm. Drawbridge Farm Bridge, a rolling lift bridge over the Stratford on Avon Canal. The bridge was built during the Imperial period and is still in good condition. It is situated 400m east of Wharf Lane. 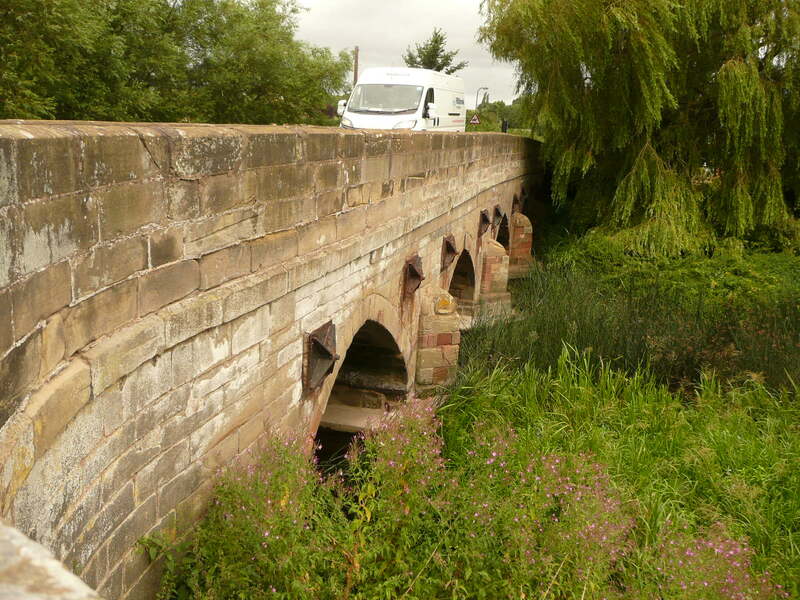 Fenny Compton Canal Bridge, built in the Imperial period of red brick. It crosses the Oxford Canal at Fenny Compton Wharf. The site of a railway signal box that was built during the Imperial period. It was situated on the Evesham and Redditch Railway and is marked on the Ordnance Survey map of 1886. The signal box was located to the south of Alcester Railway Station. The site of a railway signal box that was in use during the Imperial period. It was situated 450m west of Water Orton Railway Station. The signal box is marked on the Ordnance Survey map of 1901. The course of a trackway, possibly a drove road, of Medieval date. It is located 300m north east of the church, Sherbourne.